This cooperation project involved Local Action Groups (LAGs) from 3 countries: France, Estonia and the UK. 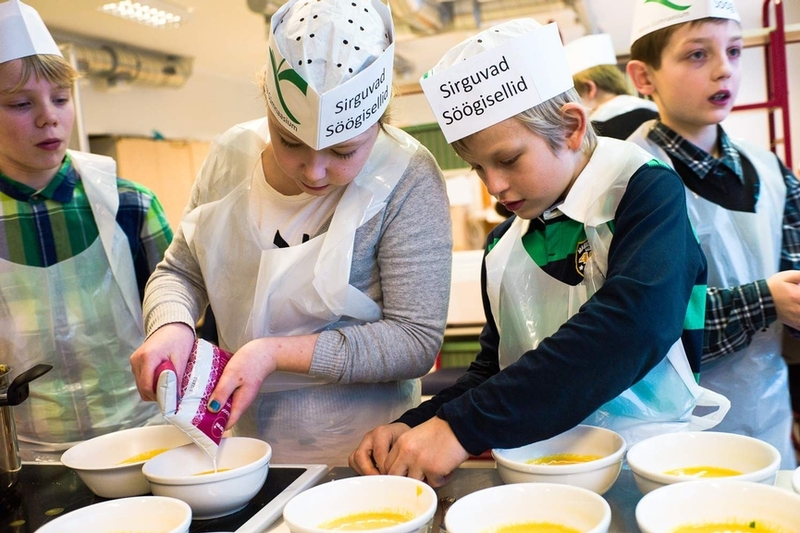 The objective was to strengthen public awareness of healthy eating habits and short supply chains, and to promote local food to local schools. 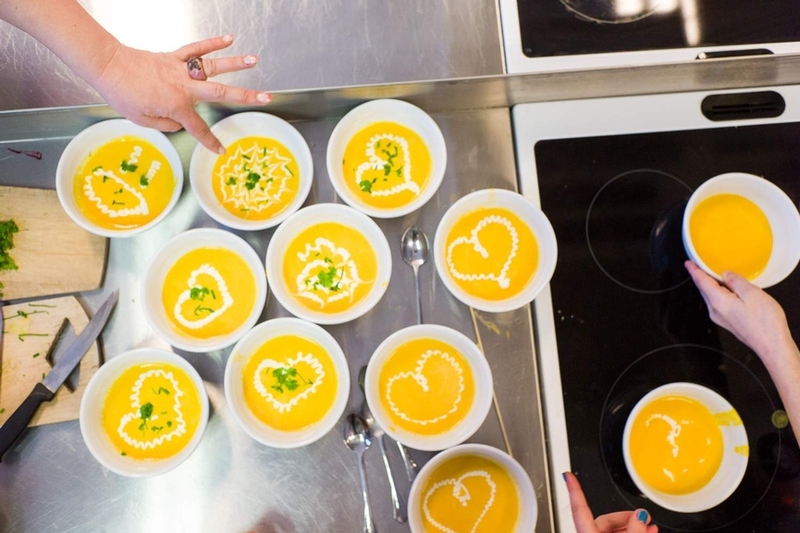 Starting as an inter-territorial cooperation project focusing on promoting local and healthy food in Estonia, ‘Growing Gastronauts’ is a transnational cooperation project between 5 LAGs from the UK, France and Estonia. It helped promote local food, short supply chains and healthy dietary habits. Various exchange activities were organised between the different LAGs, together with children, parents and schools’ cooks. The project’s objective was to promote local food and short supply chains and to teach primary school children about growing and eating healthy food. 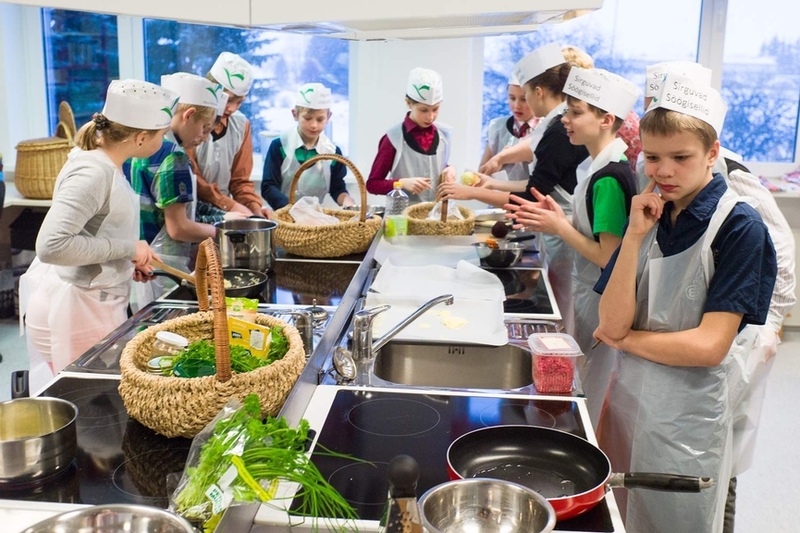 The project aimed to i) connect schools and local food producers; and ii) provide hands-on educational opportunities focused on the local food system and the connections between health, food and farms. The activities implemented ranged from the organisation of events and training, such as farm markets, cooking classes and study trips for children, to the preparation of specific publications, videos and participation in TV programmes. Study visits to the three partner countries were also organised to exchange experiences about dietary habits. A cookbook with typical recipes from the 3 partners countries was produced and translated (EN, EE & FR), and is available in hard and electronic copies. Cooking classes as well as field visits to local farms were organised in all partner countries. Three study visits – Estonia in September 2012, France in March 2013 and the UK in September 2013 – were also planned. A TV programme was produced with the aim to disseminate the results of the project. 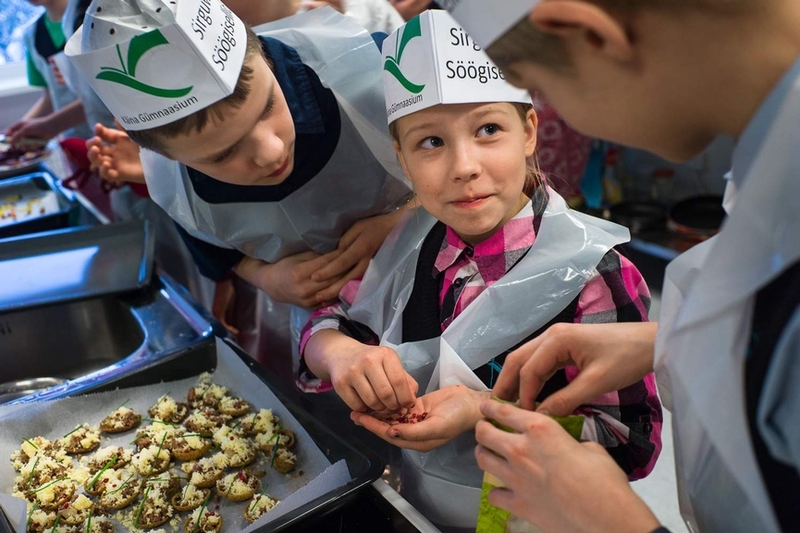 As a specific result, the primary school located in the municipality of Lauka in Estonia signed an agreement with a local vegetable producer. The project’s results stressed the need to better train schools’ cooks to use local products as well as to connect local producers and schools. Local communities involved in the project are now more aware of their respective local food system and conscious of the importance of healthy eating habits. Schools involved in the project were: EE: Kärdla & Käina Gymnasiums, Orissaare Gymnasium, Kärla, Valjala, Salme & Lümanda Basic Schools; UK: Binley Woods, Wolston St Margarets, Ferncumbe, All Saints Leek Wootton & from Shropshire: Tickwood farm, St George’s C of E Primary & Stokesay, Clun Primary Schools & Ludlow Junior School; FR: CEL Aune & Loir, Conseil Municipal des Jeunes/Centre de loisirs La Flêche, Ecole Pontvallain.